I'm back with another card using the new Mondo Sakura from Essentials by Ellen. This time I coloured it with cool grey copics to leave it looking white, but with some shadows. 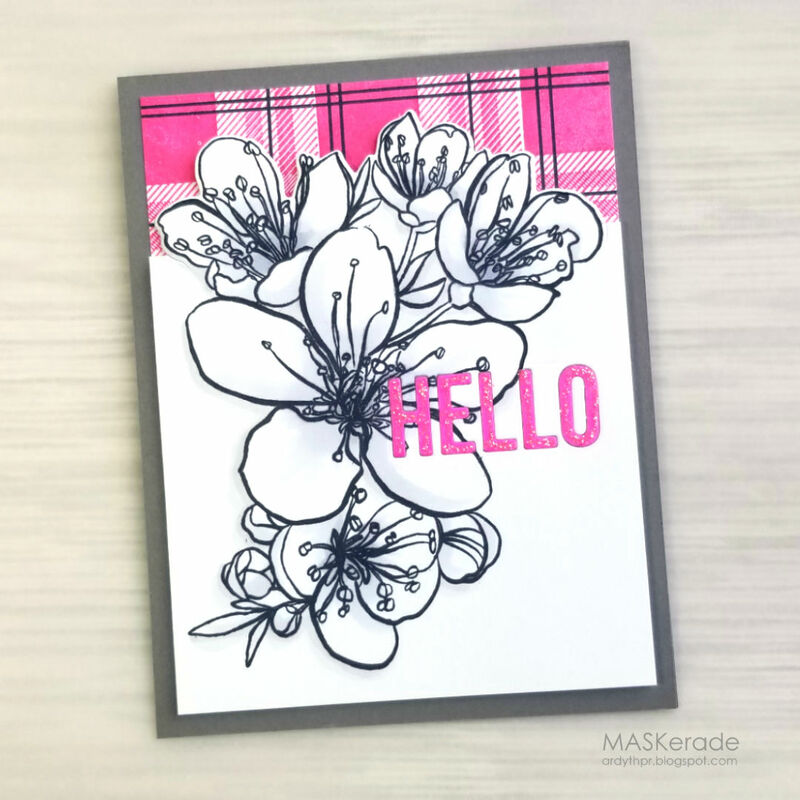 I did some partial diecutting so that my plaid background could peek over the top of the pretty flowers and added stickles to my sentiment for sparkle.